Thousands gathered in Freetown, the capital of Sierra Leone, over the weekend. They danced, cheered, lit candles to remember those lost, and let out a collective sigh of relief. The celebration was much needed, as the World Health Organization (WHO) officially declared Ebola vanquished within the country’s borders. The official announcement was made on Saturday, marking a potential end to the long struggle that has gripped the nation. Sierra Leone has been a central battleground of the Ebola outbreak since it began in 2014. According to the WHO, 8,704 people within the country had been infected and 3,589 died during an outbreak that has seen 28,500 cases of the virus across the African continent. The WHO officials credit the cooperation of healthcare partners across the world and the leadership of the Sierra Leone government for this achievement. Rapid response teams and strong community action helped form a national treatment plan to detect, intervene in, and contain Ebola transmissions. This has laid the foundation for building a powerful public health system that can handle any future outbreaks of Ebola or other diseases endemic to the area. Although there is cause for jubilation, there is still much work to be done even after this milestone. The disruptions caused by the Ebola outbreak and the loss of almost 4,000 people have taken a powerful toll on Sierra Leone’s economic and social well-being. Many of the Ebola survivors also face lingering health complications, superstition, and fear. The WHO will maintain a presence within the country to help preserve vigilance and maintain precautions. Relaxation at this stage is tempting, but something the WHO hopes to discourage among local health authorities. Although Sierra Leone has no standing Ebola cases, this can change quickly. Liberia celebrated its own official end to Ebola back in May, only to see six cases emerge in June. It took until September for Liberia to be declared free of the virus once again. For its part, the Sierra Leone government is going to be increasing security and health screenings along the shared border with Guinea, where new cases continue to crop up. A country is considered free of Ebola once two 21-day virus incubation periods pass without a new case. What follows after is the monitoring phase, a 90-day period of enhanced surveillance that is meant to quickly catch any new cases of the disease that may appear. Botelho, G., “Nearly Two Years Later, Sierra Leone Finally Ebola-free,” CNN web site, November 7, 2015; http://www.cnn.com/2015/11/07/africa/sierra-leone-no-ebola/index.html. Hanna, J., “Liberia Once Again Ebola-free, WHO Says,” CNN web site, last updated September 3, 2015; http://www.cnn.com/2015/09/03/health/liberia-ebola/, last accessed November 9, 2015. 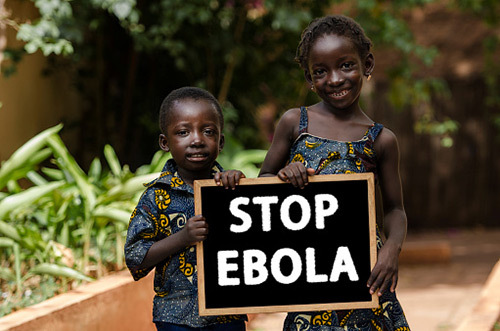 “WHO Commends Sierra Leone for Stopping Ebola Virus Transmission,” World Health Organization web site, November 7, 2015; http://www.afro.who.int/en/sierra-leone/press-materials/item/8139-who-commends-sierra-leone-for-stopping-ebola-virus-transmission.html.